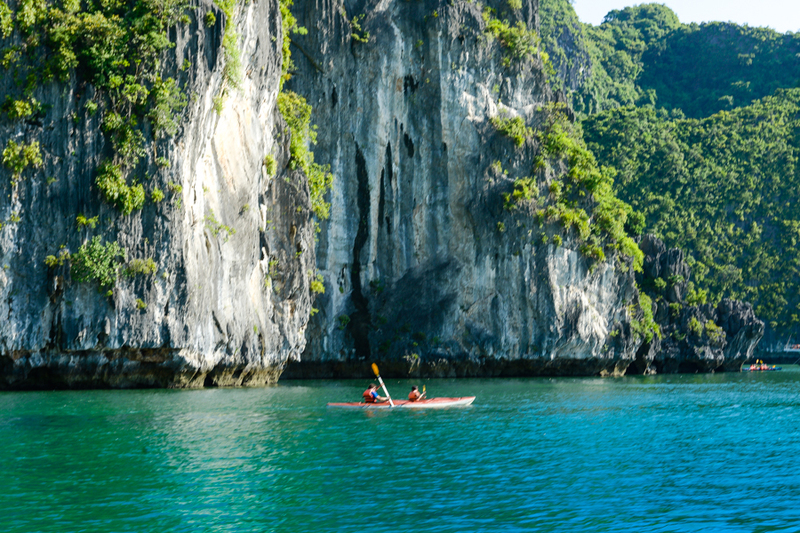 Ha Long Bay is known for its exotic rock formations, and the stalactites shimmering inside the caves. But visitor coming to Ha Long also know the nature here with the legend handed down in earth. How Drum & Virgin cave are unique? Drum and Virgin cave are two names have become very familiar with the domestic and foreign tourists when choosing Ha Long is the destination. Not only attracted by the wonderful beauty. But also that the Creator has bestowed on these two caves. The legendary story about the two caves is very curious excited for many people. The Virgin cave is located on the island of Bo Hon island with Sung Sot cave system, Dong Tien lake, Tunnels cave... It's about 15 km south of Bai Chay. For the fishermen, they see the Virgin as their dear home. Especially for the couple love each other as a symbol, the vow of love. Entering the cave, in the middle of the cave is a statue of a stone girl, lying with long hair, eyes looking out to sea, waiting for despair. Opposite to the cave is the Drum cave. The statue of the petrified man facing the Virgin remains. Where we can hear the screams of despair and the sound of his knocking on the cliffs. The remnants of that night's hurricane are still there today - broken pieces of rock in the cave. The wind roaring through the cliffs and the bubbles still whitewashed. The Drum and the Virgin cave is not only rich in stalactites and beautiful scenery. Also attractive to visitors because of a very moving history. See also Halong Bay private cruise. There was a beautiful young girl, poor family, her family had to work for the owner of the fishing area. Seeing her beautiful, he forced her family to give her a wife for him. But she refused because she had a lover, he was fishing to prepare for their wedding day. With nothing to do with her, the landlord sent her to a deserted island to subdue she will, she was hungry and exhausted. On a rainy night, the girl was petrified. It was also the night the boy knew she was in trouble. After that he traveled around the ea to find his lover. At night, thunder stormed the boat he broke, he washed up a desert island, in the lightning, he looked away and recognized the girl but the words he was carried by the wind. He hit a rock against the cliffs and told her that he had come. He knocked when the blood flowed, until exhausted and he petrified the cave. Two caves 700-800 m apart by a small bay. The gates turn in different directions. From this cave to shout out, the other cave can hear. The people say that on the rainy day, the wind is strong, passing here hear the wind beating the cliffs like the drum beat. 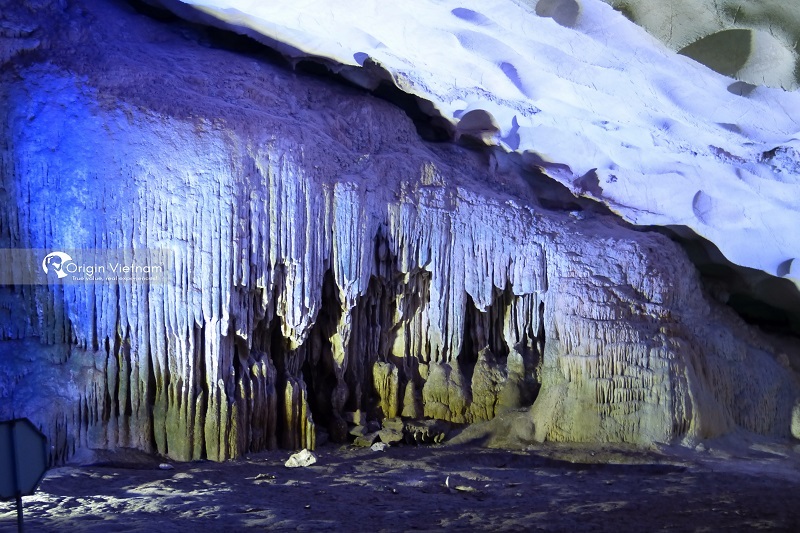 Not all visitor come to Ha Long will have chance to visit this caves. Because it's depend on cruise route itinerary. But the the best way to visit these cave visitor only can use buy private tour Ha long Bay. Because if you book private cruise or junk. 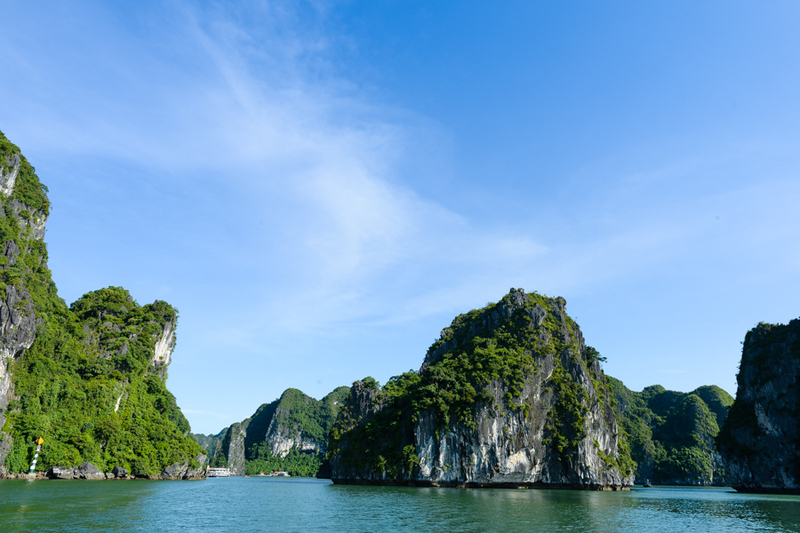 It's mean that you can travel your way in Ha Long Bay. For more information please give us a call 8482 909 8686.